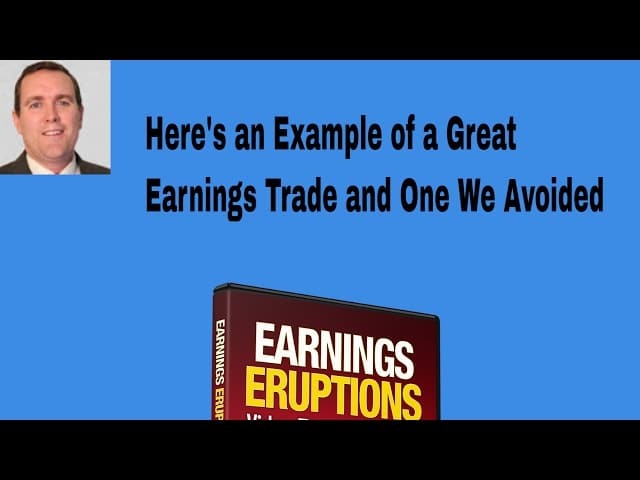 The Earnings Eruptions Video course is now Live! This series of videos shows you the way we profit quickly after a large earnings beat. A lot of misconceptions and half-truths are floating around online about trading earnings reports that are causing a lot of unnecessary losses and this video course clears them up for you. There are 2 misconceptions in particular that are probably losing you a lot of money. The first is the idea that you have to buy a stock ahead of the earnings report and hope that they beat earnings expectations by a wide margin (or miss earnings expectations if you play a straddle). But only about 1 in a 100 stocks have the massive earnings beats that will really propel the stock a lot higher after the report. Some just go ahead and buy the stock after the huge earnings beat. However, I can think of a couple of stocks in just over the past couple of weeks where that strategy would have turned out badly. Namely, PLCE and CBM. Both of these stocks beat, gapped higher and then turned over and fell hard after the opening bell after the report. Now some of these will go on to develop bullish chart patterns, generally weeks later, and the best consolidation patterns will be featured in our alert service. But for a short-term day trade, they were a dud unless you shorted. Now contrast those beats with SINA, OLED and WB over the past few weeks where they held their gap and then surged another 10% to 20% higher for huge profits within a day or two. We entered a very high probability day trade on these stocks while avoiding a long day trade on PLCE and CBM. There are 9 critical elements of a big earnings beat that tell us its likely to make a big move from the opening bell that day. These include the quality of the gap, pre-market activity, the float size and volume have to be right along with 6 other factors explained in the videos. We developed the course based on our experience day trading earnings beats over the past 2 years. The first back-test of this new strategy was just completed covering a recent earnings season and showed a 90% success rate to make 3% to 20% or more while using a tight 2.5% stop. Pretty impressive and is similar to what we saw while testing dozens of day trading strategies over the past couple years. Other strategies, including ones on penny stocks did not come close in terms of average percent profits. And generally, there are dozens of stocks that have big earnings report beats that meet all the criteria in this new day trading strategy. We generally swing trade because day trading is generally a waste of time. 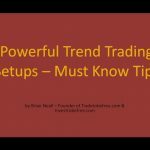 After day trading dozens of the top strategies taught on-line, most just do not work that well and just generate commissions for your broker. However, this is one of the very few exceptions and is too good to pass up. Now the second misconception is that the trend into the release will tell you most of what you need to know. For instance, many seem to think that if the price trends higher into the release the stock will sell off after a big earnings beat. The thought being that if the stock was trending higher into the release, then the move forecasting the beat has already been made. This is a half-truth that can be costly. For instance, we featured MELI and WB ahead of their release in our daily alert newsletter. Both had strong uptrends into the release. Yet both gapped much higher after the release, held the gap and then trended much higher right from the opening bell for some of the biggest day trades you could hope for. Using conventional logic, you should have shorted or sold after the earnings beat because the news was in. And sometimes this is true. However, if the 9 critical factors are in place, this event will provide an amazing short-term trading opportunity with a 3 up to a 10 to 1 risk/reward ratio with a very high probability of success. The video course explains how to play monster beats and gives you the exact entry and exit strategies to profit 3% to 10% within about an hour usually. After over 5,000 day trades over a 2 year period, this strategy proved to be the best day trading strategy by far. Here is a great video showing a big earnings report trade that worked and another that we avoided. It all sounds great. I cant watch an earnings beat as i work 40 hours a week and cant watch screens all day. Any trading servive would be great. Steven, You can get a $50 discount by bundling the 2 courses together. Just send us an email at info@tradetobefree.com and we will send you the link. I use both strategies in the current market and they are working really well when following all the rules in the courses. How do I get the video on swing trading using earnings reports?